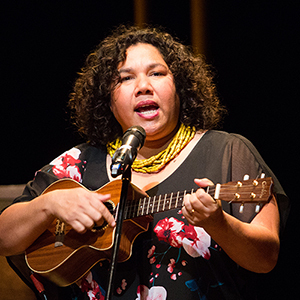 In July 2018, musician Jessie Lloyd and Professor Marcia Langton came together to discuss the meaning of the NAIDOC theme ‘Because of her, we can!’, as part of Melbourne Recital Centre’s biannual Yingabul celebrations. In this recording of the conversation, hear Marica's personal stories and thoughts on being one of Australia’s leading academics in Indigenous affairs. From research in the field to policy and reform, hear how one inspiring Aboriginal woman has dedicated 40 years to the betterment of our Indigenous people. A musician, producer and creative entrepreneur, Jessie Lloyd is a cultural practitioner of Indigenous music and is dedicated to the continuation of song traditions. Her mission is to produce, perform and progress Australian Indigenous music through innovative concepts, collaborative projects and cultural practice. Maintaining an authenticity that contributes to the rich diversity of Australian arts and its audiences, and working towards positive and progressive social opportunities, values and attitudes. Click here to read more. 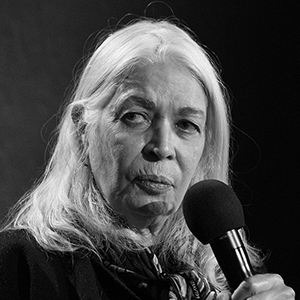 Professor Marcia Langton AM is an anthropologist and geographer, and since 2000 has held the Foundation Chair of Australian Indigenous Studies at the University of Melbourne. She has produced a large body of knowledge in the areas of political and legal anthropology, Indigenous agreements and engagement with the minerals industry, and Indigenous culture and art. Her role in the Empowered Communities project under contract to the Department of Prime Minister and Cabinet and as a member of the Expert Panel on Constitutional Recognition of Indigenous Australians are evidence of Professor Langton’s academic reputation, policy commitment and impact, alongside her role as a prominent public intellectual. Click here to read more.